It was St. Philip's Day, and the Church of the Holy Family was crowded in west-end Toronto. Fr. 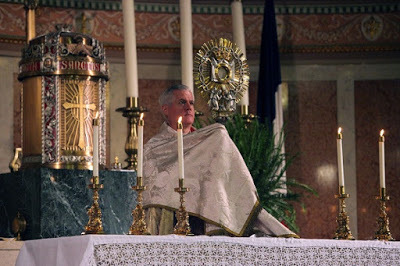 Gerald Murray JCD, of the Archdiocese of New York was Guest Preacher. In the space of about 25 minutes, he delivered a quite, scholarly, yet pastoral sermon on the present crisis in the Church. 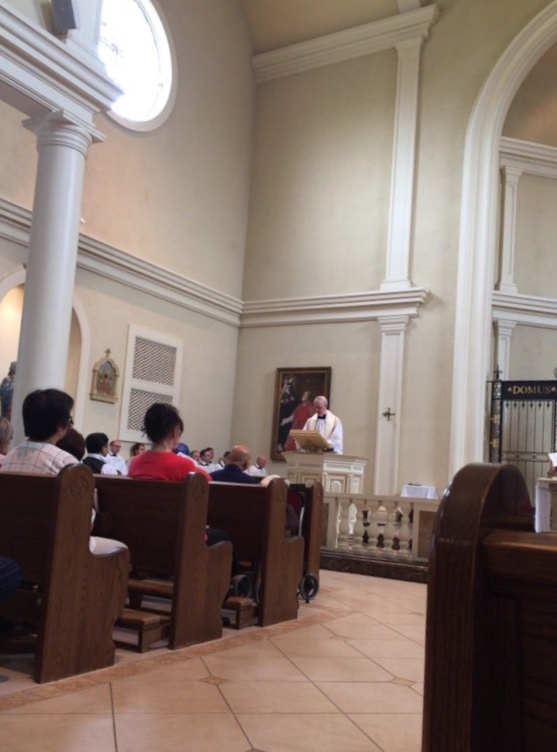 It was a sermon focused squarely on the poison of liberalism in the Church and in society. Error, confusion, dissent was exposed, with charity, yet force. Fr. Murray spoke of the duty of priests and the faithful to oppose such evils in defense of Christ and His Church. Fr. Murray outlined Cardinal Newman's lifelong combat against liberalism, drawing our attention to the "Biglietto Speech" when in Rome receiving his Cardinal's hat from Pope Leo XIII. It was obvious that Fr. Murray is devoted to Newman, as a guiding light in these troubled times, where a false mercy is being promoted that, for example, Our Lord does not really take offense at sin As Fr. Murray pointed out liberal society - poisoned with relativism - allows one to decide reality when it comes to grave moral evils, but not (as he gave as an example) when it comes to coveting another's financial assets, which would result in a visit by the police. The crisis of the Faith, the spread of relativism, as Fr. Murray pointed out, has not decreased since Newman's day, indeed, it has only become more pronounced. As examples of this Fr. Murray alluded to recent reports of those wishing to water down Humanae Vitae, or even dispose of it. Or those wishing to undermine Catholic doctrine and deny that homosexuality is disordered, and to deny that each and every homosexual act is objectively always gravely sinful. The Faithful were reminded of the contemporary war against the heresy of relativism and indifferentism waged by Pope Benedict XVI, and more recently by men such as Robert Cardinal Sarah. Catholics in Toronto should thank God for such clarity of doctrine preached to them. To hold fast to the Truth, to reject relativism, false mercy, to reject the seductive lure of liberalism in all its guises. Please pray for Fr. Murray. Please pray for the Toronto Oratory. PLease pray for our Holy Father. Please pray for the Universal Church. I am a Catholic first and an American citizen second . 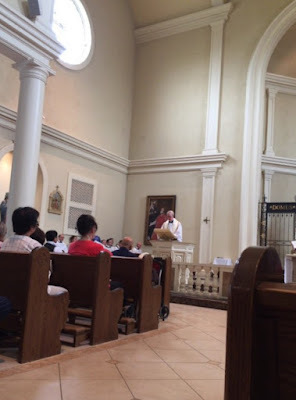 However I must say I couldn’t be more proud of Fr Murray’s homily in St Philips Day at the Oratory in Toronto. A complete turnaround from last year’s controversy surrounding the yearly feast day, but with that we should all be proud of the Oratory responding with a big punch ! Just a wonderful Holy Mass with Fr Robinson and the voice of truth, Fr Gerald Murray of Holy Family Church , NYC . How’s that for Divine Providence . Excellent blogpost Barona! Certainly a terrific post to be able to write in this day and age . Huzzah!